WASHINGTON (Yonhap) -- U.S. Secretary of State Mike Pompeo said Friday that he is "confident" there will be a third nuclear summit between President Donald Trump and North Korean leader Kim Jong-un at an as yet undetermined time. "I'm confident there will be," he said, adding that he doesn't know when it will happen but is hopeful it will be soon. Pompeo said the two sides have been in contact since the last summit in Hanoi, Vietnam, which he said led to a "deeper understanding" of each other's positions. The summit broke down due to disagreements over the extent of North Korea's denuclearization and sanctions relief from the U.S.
"We have had conversations after Hanoi about how to move forward," Pompeo said. Pompeo made clear the U.S. has no plans to lift the sanctions short of the North's denuclearization. "President Trump has been unambiguous. Our administration's policy is incredibly clear: Economic sanctions, United Nations Security Council sanctions, will not be lifted until we achieve the ultimate objective that we set out now almost two years ago," he said. But the secretary was vague when asked how the U.S. will respond to South Korea's wishes to reopen a joint industrial park in North Korea's border town of Kaesong and resume tourism to the North's Mount Kumgang. "I talk to my South Korean counterpart a lot. 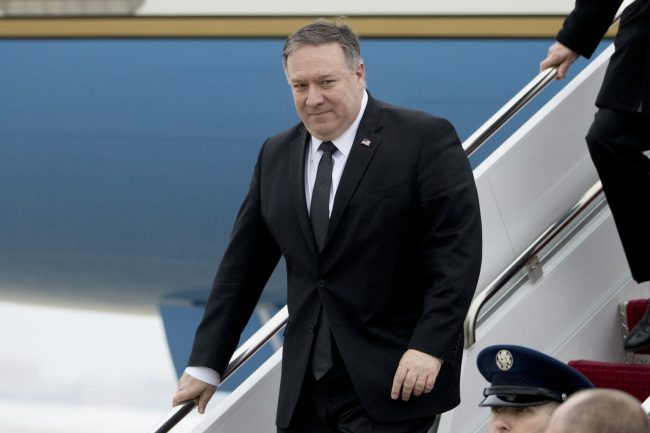 She's a delightful, capable minister for their country," Pompeo said of South Korean Foreign Minister Kang Kyung-wha, whom he met in Washington last week. "They're neighbors with the North Koreans. Many South Koreans have family members there. I understand the sentiment, but they've been great partners, and we have worked closely together to enforce these sanctions. We appreciate what they're doing," he said. "We'll watch very closely what he says," Pompeo said. "I don't expect there'll be great surprise, but I do hope that he will share his sentiment, his sentiment that says: I believe, as the leader of North Korea, I believe the right thing to do is for us to engage with the United States to denuclearize our country, and that we'll have a brighter future for the North Korean people."